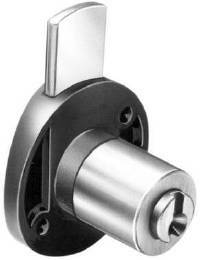 The Bilock Deadbolt Lock. Our signature product, from when we first opened our business here in the USA, a little over 10 years ago is still Bilock. 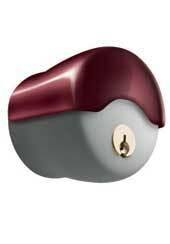 The Bilock Deadbolt is the most popular of the Bilock products repeatedly requested. Concerned consumers request Bilock due to it's superior resistance to picking and bumping. The color coded keys help in easily identifying correct operating keys. Our signature authority system prevents unauthorised key production. Often, we can provide just the Bilock cylinder and keys that can be installed in many existing leading brands of hardware too, minimizing the cost to the homeowner and maintaining the existing ambience of the trim on the door. The Pigio 2 by Serrature Meroni is also seeing increased popularity for similar reasons the the Pigio 1. The Combina by Serrature Meroni is the modern version of the unique Premiapri mechanism and is available in so many color options to suit varying tastes of consumers. 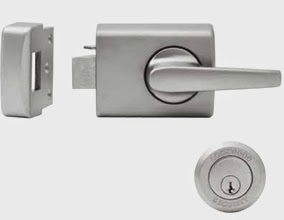 The enormously popular best seller, The Lockwood 7444 Keyed Pocket Door Lock exceeds the requirement of the many pocket door owners across the USA and Canada. 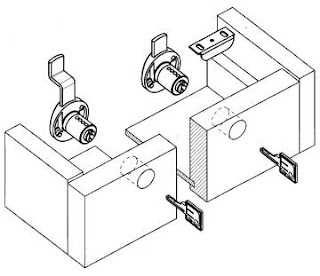 The unique design, combined with a 5 pin tumbler that is identical to a Kwikset Keyway, complements this product. The Lockwood range of picket and cavity door locks, also includes privacy (bathroom/bedroom), passage and passage latching versions. 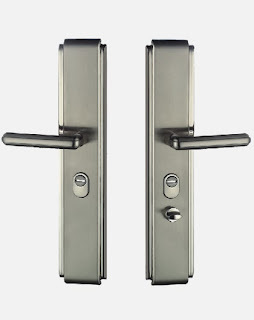 The Serrature Meroni range of furniture and cabinet lock systems, mechanisms, electronic control desk lock systems, drawer hinges, door closers, electric strikes, door handles, mailbox locks, etc are second to none worldwide for their quality and vast product range. This fine Italian company is on the cutting edge of design, that many other brands look to, for improving their offerings too. 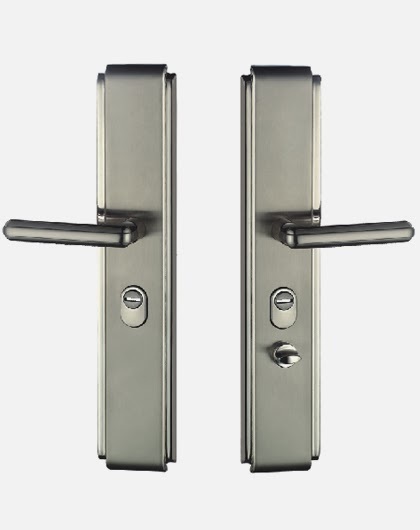 Still the best and still the worldwide leader in intelligent and ambient locking systems. 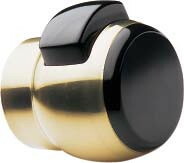 The Meroni Nova is the flagship of the Serrature Meroni line of door handle hardware. Easily our second most poular selling product. The Combina Anti-Bacterial handle system prevents the spread of unwanted pathogens or diseases by dissipating germs on contact. 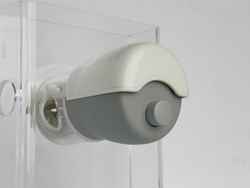 Perfect solution for child care centers, hospitals, aged care facilities. The Bilock Grade 2 Light Duty Commercial/Heavy Duty Residential entrance set comes with a 15 year warranty on the hardware. 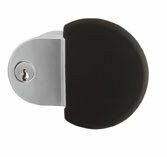 Unique keying system and bump proof/pick resistant mechanism makes this product complement the Bilock Deadbolt written about above. Hooply, a Chinese range of specialty handles and locking systems aimed at residential markets that are prone to hurricanes or brash weather systems are a popular product found most often in New York City or Florida. We were once the dealer for this product line, but found demand too small to continue. We still have contacts with the manufacturer and their catalog. We are happy to prvide the company contact to enquirers. 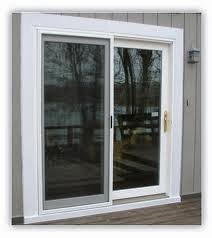 Sliding Patio Doors are one of our most common service requests by customers. We service and lubricate a great many of these doors across the greater St Louis Region, often without requiring to replace wheels or rollers. A Simple repair usually takes about an hour (average) and costs about $99, including attendance and lube. 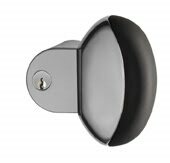 The Lockwood 002L is a rim mounted lever deadlatch that is one of, if not the strongest in it's class of secure locking hardware products. Not cheap. Expertly designed and demanded by those who demand the ultimate security. Lockwood's flagship product for over 50 years is still the best.